Surely you have already built a simple cobblestone generator in MCPE with which you will have tons of cobblestone after a while. Such a mechanism can only give one type of block, but what if you can receive other blocks without changing anything? 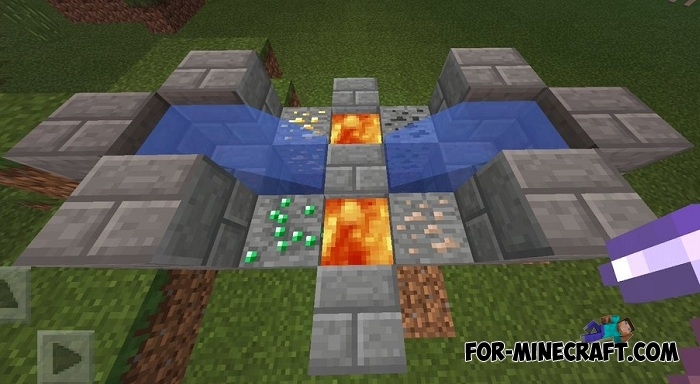 The Auto Ore Generators mod is a collection of simple mechanisms that allow you to get rare ores without effort. Having several generators you will have the opportunity to build giant structures forgetting about mines and mining blocks. The resulting ore is no different from the one that is in nature. 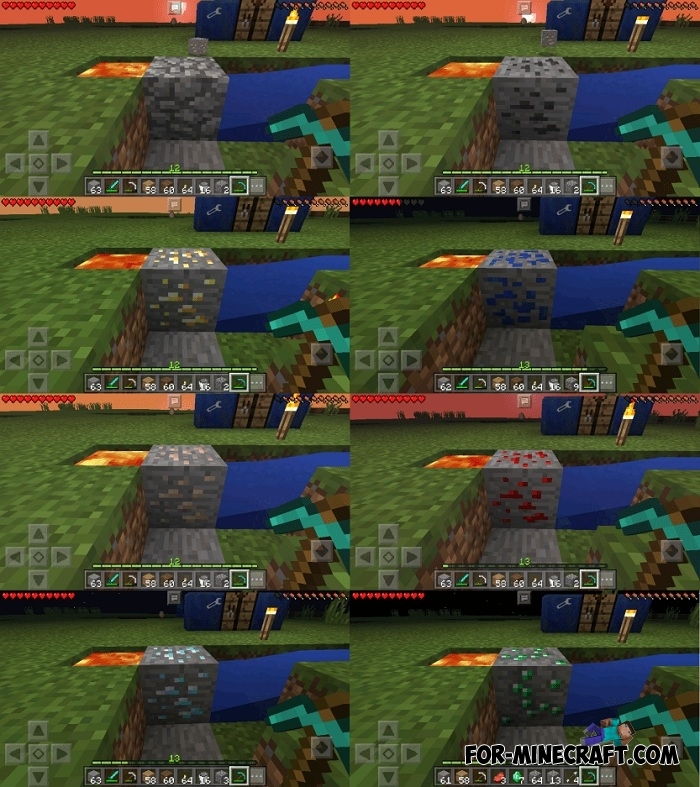 Also, you do not have to use commands or creative mode, just run the generator and collect the ore.